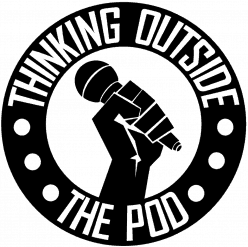 Thinking Outside The Pod – Page 3 – Sometimes insightful, Often offensive, Never boring. In this week's episode, Jimmy, Jason, and Jessica celebrate Harry Potter's birthday by discussing our favorite memories from the franchise. Next, they discuss and review Christopher Nolan's newest movie, Dunkirk (Spoiler Warning). Lastly we compare some other famous movies and television shows and so much more. In this week's episode; Jimmy, Jason, and Jessica discuss a recent story which allows them to bring up some of their embarrassing moments. Next, they give their opinions about the newest Spider-Man movie (Spoiler Warning). Lastly, they discuss zombies, publicity stunts, wealth, and everything in between.